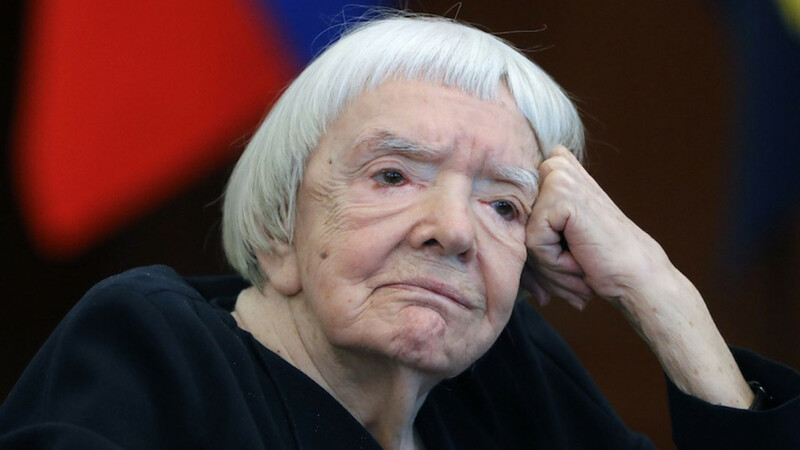 Lyudmila Alexeyeva, who headed the oldest Russian human-rights organization and was a driving force behind the civil-rights movement in the Soviet Union, has died. She died Saturday night at a Moscow hospital, according to a statement from the Human Rights Council under Russia’s President. She was 91. Alexeyeva and other dissidents founded the Moscow Helsinki Group in 1976 to monitor Soviet compliance with the 1975 Helsinki Final Act, an agreement that included guarantees of basic freedoms and was intended to improve relations between the Communist bloc and the West. “The brilliant idea was simply to hold the Soviet government to the promises it had signed and was blatantly violating,” the U.S. National Security Archive said in a 2012 statement to mark her 85th birthday. In 1989, Alexeyeva restarted the Moscow Helsinki Group after it was closed down by authorities seven years earlier. In 2002, she joined a Kremlin body in charge of promoting human rights under President Vladimir Putin, the former KGB agent who was elected in 2000. Putin came under criticism for a crackdown on civil liberties that included restoring state control of nationwide television, restricting the activities of non-government organizations and incarcerating political opponents. Alexeyeva quit the Kremlin’s council in 2012 after Putin reclaimed the presidency by pushing aside his protégé, Dmitry Medvedev, who had promised more democracy and improved rule of law. “However difficult it is to confront Putin on human rights today, try to imagine what it will be like to discuss these issues a few years from now, when either the crackdown has become even more intense or the path of repression results in a real social explosion,” she wrote in a 2012 op-ed in the New York Times. A human-rights defender for about five decades, Alexeyeva began to campaign in the 1960s for fair trials of arrested dissidents under Leonid Brezhnev’s rule from 1964 until his death in 1982. This period of stagnation and repression followed an era of relative openness under the leadership of Nikita Khrushchev, who succeeded Josef Stalin in 1953 and was ousted 11 years later. Lyudmila Mikhailovna Alexeyeva was born on July 20, 1927, in Yevpatoria, a Black Sea port town in the southern Russian region of Crimea. Her father, Mikhail Lvovich Slavinsky, was an economist and her mother, Valentina Afanasyevna Efimenko, was a mathematician. When she was 4 years old, Alexeyeva moved with her parents to Moscow. After graduating with a history degree from Moscow State University in 1950, she joined the Communist Party two years later and received a graduate degree from the Moscow Institute of Economics and Statistics in 1956. In 1968, Alexeyeva was expelled from the Communist Party and lost her job as an editor at the Nauka publishing house because she had signed a letter to defend Alexander Ginzburg and other prominent dissidents. Undeterred, Alexeyeva worked as a typist for the Chronicle of Current Events, the first dissident periodical in the Soviet Union, and distributed so-called samizdat materials about human-rights issues, under constant KGB surveillance. Forced to emigrate to the U.S. in 1977 after the security services started to increase pressure on members of the Moscow Helsinki Group, she didn’t return to live in Russia until 1993, two years after the collapse of the Soviet Union. Alexeyeva was among a group of Russian human-rights activists awarded the European Parliament’s Sakharov Prize for Freedom of Thought in 2009. That same year, Russian police detained her on New Year’s Eve as she took part in a monthly protest in Moscow against the failure of the Russian authorities to respect Article 31 of the Constitution, guaranteeing freedom of assembly. She married Valentin Alexeyev in 1945 and had two sons, Sergei and Mikhail, according to the National Security Archive.